iOS has long been able to accommodate Ethernet connectivity, but up until recently, the OS has lacked any real UI related to such connections. In iOS 10.2, Apple has added configurable Ethernet-specific UI to the Settings app. When connecting a compatible Ethernet adapter via something like Apple’s Lightning to USB 3 Camera adapter, an Ethernet preference panel will automatically appear below the Wi-Fi section in the Settings app. As noted by developer Steve Troughton-Smith, the Ethernet preferences are a welcome addition to the Settings app for anyone who regularly uses a hardwired Ethernet connection with their iOS devices. I tested the connectivity on my iPhone 7 Plus running iOS 10.3 beta 4, and it worked just as expected. After connecting my USB Ethernet adapter to my iPhone using the Lightning to USB 3 Camera adapter, the Ethernet preferences automatically appeared shortly thereafter. As you can see from the screenshots below, the configurable Ethernet pane is wedged between the Wi-Fi and Bluetooth preferences panes. 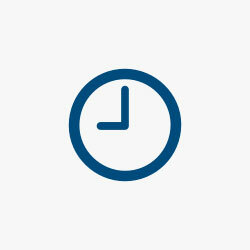 Tapping on Ethernet allows you to select the Ethernet interface, and tapping the interface displays connectivity details related to the interface. The Interfaces section seems to suggest that you can even have multiple Ethernet adapters connected to the same iOS device. If you’re running iOS 10.2 or above, you too can see this Ethernet pane after connecting a compatible USB Ethernet adapter. It’s a relatively simple addition, but one that will prove to be quite useful for iOS users who prefer Ethernet connectivity. To get your iOS device online with Ethernet, you should be able to use one of the many Ethernet adapters available, but you may need to combine it with a powered hub to provide it with adequate power. Keep in mind that you’ll also need some way to connect the USB cable to your iOS device, which is where something like the aforementioned Lightning to USB 3 Camera adapter comes into play. One of the benefits of using Apple’s powered dongle is that you may not need to combine the Ethernet adapter with a powered hub. One of our Twitter followers, Yoni Ben-Oni, also tweeted about this update back in October, so it’s not exactly new on the developer landscape, it’s just that most users haven’t seen it. 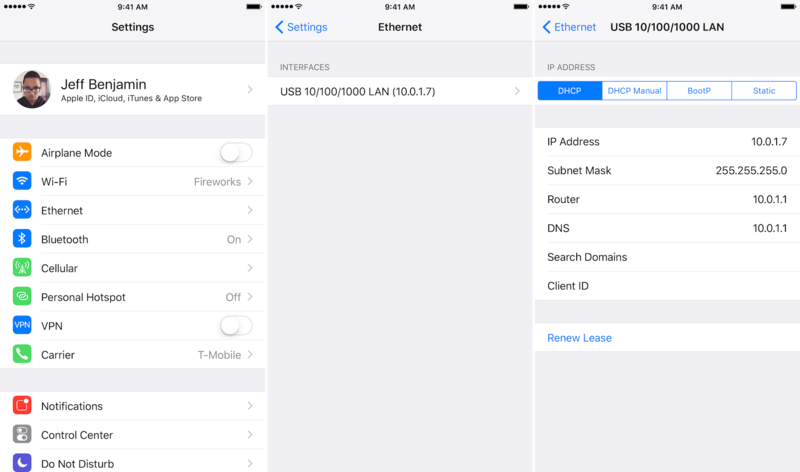 Have you ever used an Ethernet adapter with your iPhone or iPad? Would you ever consider doing so?